There is more unused text, some of which needs translating. There are more unused sound effects. A bug page needs to be added. 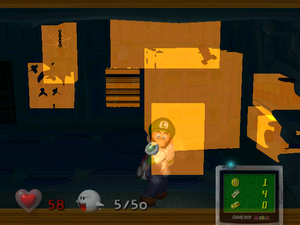 Luigi's Mansion is one of the launch titles for the GameCube. 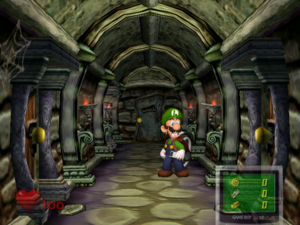 After foolishly believing that he's won a mansion from a contest he never entered, Luigi arrives to find that Mario has already been taken inside. 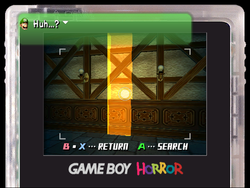 Now it's up to Luigi to find and pull Mario out of this mess, while the ghosts who own the mansion try to scare him. Unfortunately, his only line of defense is a vacuum cleaner. An enhanced port of the game was released on the Nintendo 3DS in 2018. Unused chat heads, ending graphics, and the original GBH timer. An influx of models. Ranging from cosmetics, all the way to Mario! Wait, what? The ghosts could've been terrifying. Everything from developer comments to straight-up unused text strings. E. Gadd and Luigi just won't shut up. It may be hard to get your art in a gallery. It might be hard to get your gallery in a game. You're telling me that Europe got the most difficult mode? There's a lot more than the Simple Debug mode. 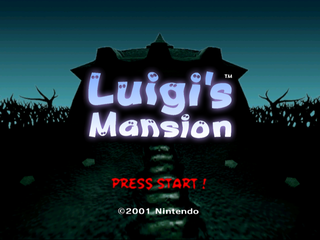 An earlier design for the mansion can be seen in the background image used on the title screen. 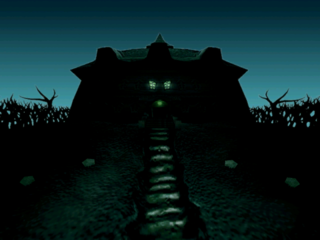 In the cutscene played at the beginning of the game, chimneys can be seen on top of the mansion; they are not present on the title screen's background. This implies that the title screen was created before the mansion's design was finalized. 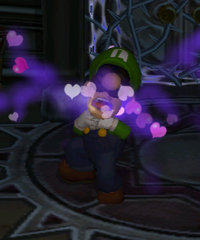 Luigi has an unused "poisoned" state in which he moans, loses health (and coins), expels purple heart particles, plays a wobbling sound and uses an unused animation called DOKU_LP (POISON_LOOP) in which he dances between each foot and holds himself while choking. In the animation he also uses the otherwise unused sad eyes texture and puffs his cheeks out. At the end of the animations he slaps his face. It is recommended to start a new save file if the code is active. 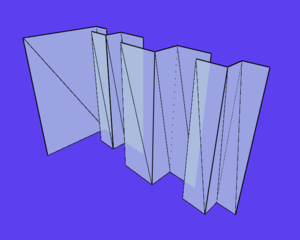 There are two doors, neither of which can be opened since its part of the room geometry and not as a separate door. One can barely be seen normally, while the other is never seen. The unseen door leads to the Training Room, which ended up being an option on the menu. Behind E. Gadd is a ladder. It might look like a decoration, but it can actually be climbed to a certain extent. Once you hit the apex of the ladder, you will fall down and land on or close to E. Gadd. 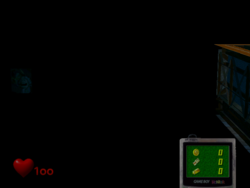 E. Gadd's Lab has a minimap, normally visible from the Game Boy Horror in the same manner as the one for the mansion. 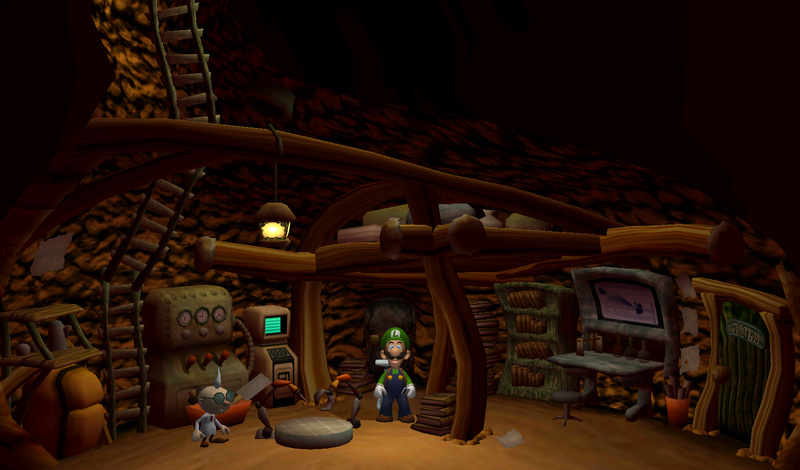 The only two places you can view it from are the Training Room and the Gallery, since you don't have control of Luigi in the other parts of E. Gadd's Lab. If Luigi lands on E. Gadd's head he will act as if he's in a cold environment, triggering his cold animation. Full view of the lab. A close-up view of the stake in the balcony model. By using the Action Replay code below, it's possible to turn on the lights in areas where they never turn on. Since hallway sections only become lit after the area's boss has been defeated, the basement hallway and 3rd floor hallway lights never turn on due to their boss being the final boss which ends the game once defeated. If the key to the Parlor is obtained while in possession of the Game Boy Horror, a key icon will appear over the door to the Parlor like any other key. However, this is normally not visible since the key is obtained before the player has access to the Game Boy Horror. 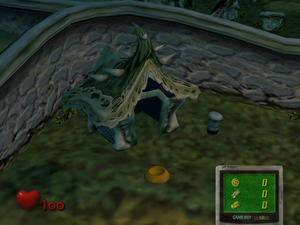 Map9, the arena on the mansion's roof where Luigi battles King Boo and Bowser, has an unused collision mesh floating far above the ground, out of reach. It appears to follow the outline of the two chimneys and the elevator room, suggesting that it was a barrier to keep things from going out of bounds. The reason it was dummied out is unclear. The OS build dates for all three versions of the game are present within start.dol. The Japanese build date is located at 0x20A438, the US build date is located at 0x215158, and the European build date is located at 0x20A438. The unused icons have a place for the listed boxes. The first one is dialogue for the Gold Ghost seen in prerelease versions, second is Bowser's, and third is Mario's. The Mario one ended up being used in the 3DS remake. Invisible poster being interacted with. On the wall where the camera is in The Twins' Room, there is an invisible poster that Luigi can interact with by pressing A, it acts as a furniture by default. 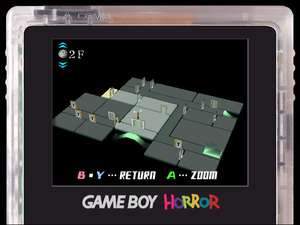 Its Game Boy Horror scanbox appears to be associated in the same position with the object, the scanbox is the same size as a scanbox for the posters. Nothing happens when scanned. In the doorframe on the roof, there is an invisible furniture that also can be interacted with. Its scan box is a small box. It can also be scanned but it defaults to only the first line Luigi says on the furniture, same with the rest of the scan boxes on the rooftop. The GBH scan box is shown for visibility. It's also in the rooftop boss battle. Invisible furniture on the roof. In the Storage Room, there is an invisible pole where the fake wall is and can only be interacted when the room is dark. 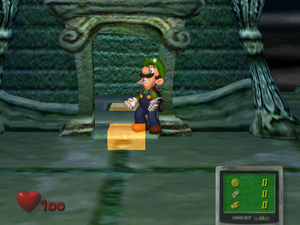 Attempting to interact with it freezes Luigi and displays him saying "Huh?". It can also be interacted with the Game Boy Horror, but it also does the same effect. The Game Boy Horror scan boxes are shown for reference. Oddly enough, there is also a poster out of bounds. Nothing is displayed when also scanned. The game actually has 25 Speedy Spirits, but only 15 of those are used (iyapoo1-15) - the other 10 (iyapoo16-25) are unused. They can be spawned and can be made visible by setting the ghost's enemyinfo entry's invisible property to 0. Doing that reveals that they use the fuyu animation by default, they cannot be stunned or defeated normally by elements, suction, or interacted with in general. There are two unused paths for the main mansion, called skul_23_1 and skul_23_2. "skul" refers to the skeleton ghost called Mr. Bones, while "23" refers to the 23rd room in the mansion's data, the Courtyard. There are similarly-named path files for the Mr. Bones ghosts that appear in the Graveyard and in the Telephone Room, but no Mr. Bones appear in the Courtyard in the final game, rendering these paths unused. 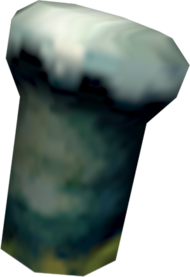 Among the path files is a specific one named topoo_8_1; "topoo" is basically the internal name for the grabbers and "8" refers to the 8th room in the mansion's room archive data, the Kitchen. A screenshot from an earlier build in the Instruction Booklet (page 17) suggests that this path was once used for a red Grabber Ghost in the Kitchen, when it and other ghost types still originally had 30 HP. Far out of the mansion's bounds, active in every room is a single floating coin. 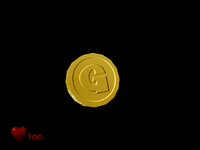 It is believed that the coin was once the one used in the E3 2001 build's coin counter, as it uses a rotating animation practically identical to the one the coin was seen using in the E3 2001 build. However, it appears to be used for the "observer" objects, relative to some models position. It has no collision and triggers/does nothing when interacted with. The Sitting Room and Guest Room have blackout ghosts that are inaccessible during the blackout, effectively making them unused. The Sitting Room has four Temper Terror ghosts while the Guest Room has two Temper Terror ghosts and two Garbage Can Ghosts. This could imply these rooms were accessible in the blackout in early versions of the game. 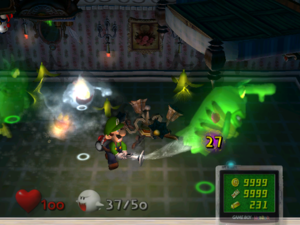 In Luigi's Mansion, there are certain doors blocked by force fields that lead to the next area. These doors have cutscenes for Luigi trying to open them while locked. Although, the force fields on these doors won't disappear until Luigi has the keys for them, leaving those cutscenes unused. Luigi's Mansion is named project1 internally, according to the CVS files located in the CVS folder. It shows Nintendo's server for working on the game and it shows the main programmers, Hiroki Sotoike, account accessing it.